Julian JP, Podolak CJP, Meitzen KM, Doyle MW, Manners RB, Hester E, Ensign S, Wilgruber N. 2016. Shaping the physical template: Biological, hydrological, and geomorphic connections in stream channels. In Jones JB, Stanley EH (editors), Streams in a Changing Environment, London, Academic Press, pp. 85-133. Riggsbee JA, Doyle MW, Julian JP, Manners R, Muehlbauer JD, Sholtes J, and Small MJ. 2013. Influence of Aquatic and Semi-Aquatic Organisms on Channel Forms and Processes. In Shroder JF (Editor-in-chief), Wohl E (Volume Editor), Treatise on Geomorphology, Vol 9, Fluvial Geomorphology, San Diego, Academic Press, pp. 189-202. Julian JP, de Beurs KM, Owsley BC, Davies-Colley RJ, Ausseil A-GE. 2017, In press. River water quality changes in New Zealand over 26 years: Response to land use intensity. Hydrology and Earth System Sciences. Kamarinas I, Julian JP, Hughes AO, Owsley BC, de Beurs KM. 2016. Nonlinear changes in land cover and sediment runoff in a New Zealand catchment dominated by plantation forestry and livestock grazing. Water 8(10), 436; doi:10.3390/w8100436. Castro AJ, Vaughn CC Julian JP, García-Llorente M. 2016. Social demand for ecosystem services and implications for watershed management. Journal of American Water Resources Association 52(1): 209-221. Julian JP, Wilgruber N, de Beurs KM, Mayer PM, Jawarneh R. 2015. Long-term impacts of land cover changes on stream channel loss. Science of the Total Environment 537: 399-410. Gates KK, Vaughn CC, Julian JP. 2015. Incorporating species traits in a guild approach for developing freshwater mussel environmental flow recommendations. Freshwater Biology 60: 620-635. Martin-Mikle CJ, de Beurs KM, Julian JP, Mayer PM. 2015. Identifying priority sites for low impact development (LID) in a mixed-use watershed. Landscape and Urban Planning 140: 29-41. Vaughn CC, Atkinson CL, Julian JP. 2015. Drought-induced changes in flow regimes lead to long-term losses in mussel-provided ecosystem services. Ecology & Evolution 5(6): 1291-1305. Atkinson CL, Julian JP, Vaughn CC. 2014. 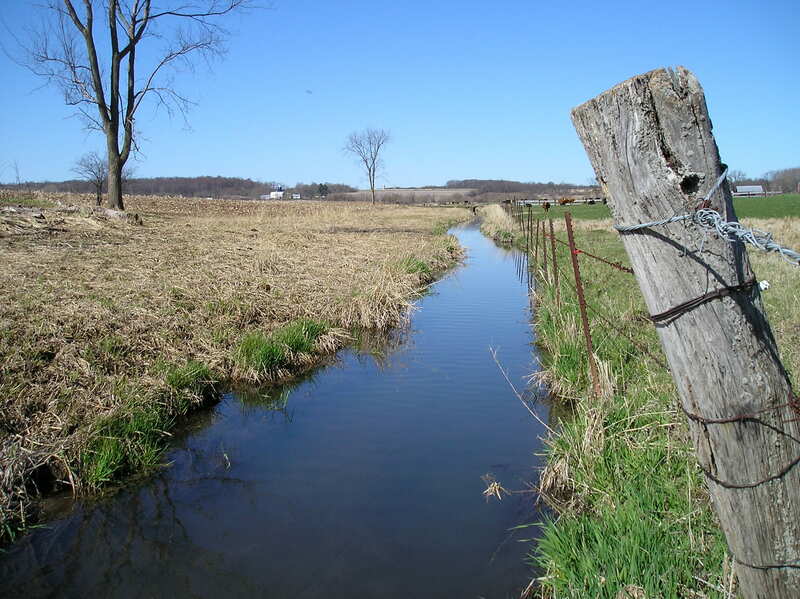 Species and function lost: role of drought in structuring stream communities. Biological Conservation 176: 30-38. Julian JP, Gardner RH. 2014. Land cover effects on runoff patterns in eastern Piedmont (USA) watersheds. Hydrological Processes 28: 1525-1538. Elmore AJ, Julian JP, Guinn SM, Fitzpatrick MC. 2013. Potential stream density in Mid-Atlantic U.S. watersheds. PLoS ONE 8(8): e74819, doi: 10.1371/journal.pone.0074819. Powers SM, Julian JP, Doyle MW, Stanley EH. 2013. Retention and transport of nutrients in a mature agricultural impoundment. Journal of Geophysical Research: Biogeosciences 118: 1-13, doi:10.1029/2012JG002148. Julian JP, Davies-Colley RJ, Gallegos CL, Tran TV. 2013. Optical water quality of inland waters: A landscape perspective. Annals of the Association of American Geographers 103: 309-318. Julian JP, Elmore AJ, Guinn SM. 2012. Channel head locations in forested watersheds across the Mid-Atlantic United States: A physiographic analysis. Geomorphology 177: 194-203. Atkinson CL, Julian JP, Vaughn CC. 2012. Scale-dependent longitudinal patterns in mussel communities. Freshwater Biology 57: 2272–2284. Julian JP, Thomas RE, Moursi S, Hoagland BW, Tarhule A. 2012. Historical variability and feedbacks among land cover, stream power, and channel geometry along the lower Canadian River floodplain in Oklahoma. Earth Surface Processes and Landforms 37: 449-458, doi:10.1002/esp.2272. Julian JP, Seegert SZ, Powers SM, Stanley EH, Doyle MW. 2011. Light as a first-order control on ecosystem structure in a temperate stream. Ecohydrology 4: 422-432, doi: 10.1002/eco.144. Julian JP, Stanley EH, Doyle MW. 2008. Basin-scale consequences of agricultural land use on benthic light availability and primary production along a sixth-order temperate river. Ecosystems 11: 1091-1105. Julian JP, Doyle MW, Stanley EH. 2008. Empirical modeling of light availability in rivers. Journal of Geophysical Research: Biogeosciences 113: G03022, doi:10.1029/2007JG000601. Julian JP, Doyle MW, Powers SM, Stanley EH, Riggsbee JA. 2008. Optical water quality in rivers. Water Resources Research 44: W10411, doi:10.29/2007WR006457. Riggsbee JA, Julian JP, Doyle MW, Wetzel RG. 2007. Suspended sediment, dissolved organic carbon, and dissolved nitrogen export during the dam removal process. Water Resources Research 43: W09414, doi:10.1029/2006WR005318. Julian JP, Torres R. 2006. Hydraulic erosion of cohesive riverbanks. Geomorphology 76: 193-206.